Born Harold Goldstein, he worked as a professional actor while still in high school, playing several roles in each episode of a local radio station's The FBI In Action. But his high school guidance counselor advised him that very few actors earn a decent living, and suggested he teach instead. He went to college with a career in education in mind, but left to join the Army during World War II. Assigned to a mortar platoon, he saw combat in eastern France. After the war, he earned his PhD in Theatre, and taught drama for many years, spending his summers as a part-time actor. 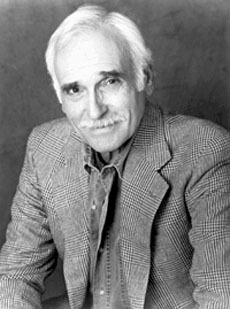 He made his professional stage debut playing Thomas Jefferson in a Virginia production of The Common Glory in 1955, and he won an Obie in 1969 for his first New York stage appearance, The Increased Difficulty of Concentration. Eleven years after winning the Obie, at the age of 37, Gould finally decided that taking career advice from his high school guidance counselor might have been a mistake. He drove to Hollywood and, in one of his first roles since leaving the academic life, he played a bum in an episode of Dennis the Menace. He made ends meet by working as a security guard and teaching drama classes at UCLA, but soon, with his memorable face and an undeniable on-camera gravitas learned from years of lecturing, he was typecast playing authority figures -- policemen, prosecutors, high-powered surgeons, military men, and judges. He was a cop in Harper, and a lawyer in Norman Mailer's An American Dream. Gould was best known as Rhoda's father on The Mary Tyler Moore Show and Rhoda, and as Betty White's boyfriend on The Golden Girls. He also had two television "near miss" experiences, playing the main character's father in the pilot episodes for That Girl and Happy Days; in the subsequent series he was replaced by, respectively, Lew Parker and Tom Bosley. His best films include The Sting, the Jack Lemmon-Walter Matthau version of The Front Page, Woody Allen's Love and Death, and Mel Brooks' Silent Movie. Gould continued to work on stage and, occasionally, on film and television until well into his 80s, and died in 2010.